A request from one of followers brings us back in time and to one of the most successful brands of all time, Geobra´s Playmobil. 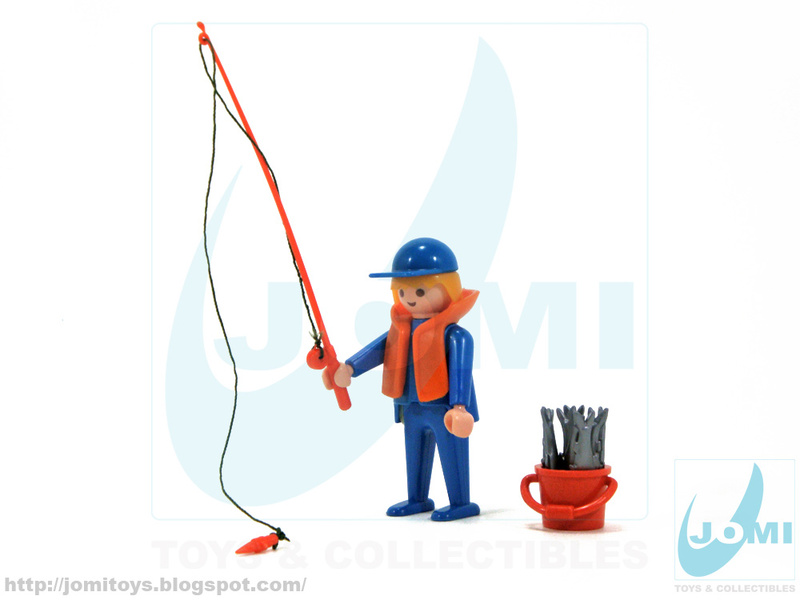 A classic, this item has basically seen one variation, the 1985 one piece arm and later rotating hands figure. Included parts for this set (missing sticker sheet). This is, as you can see, the second version of this set (rotating hands figure). 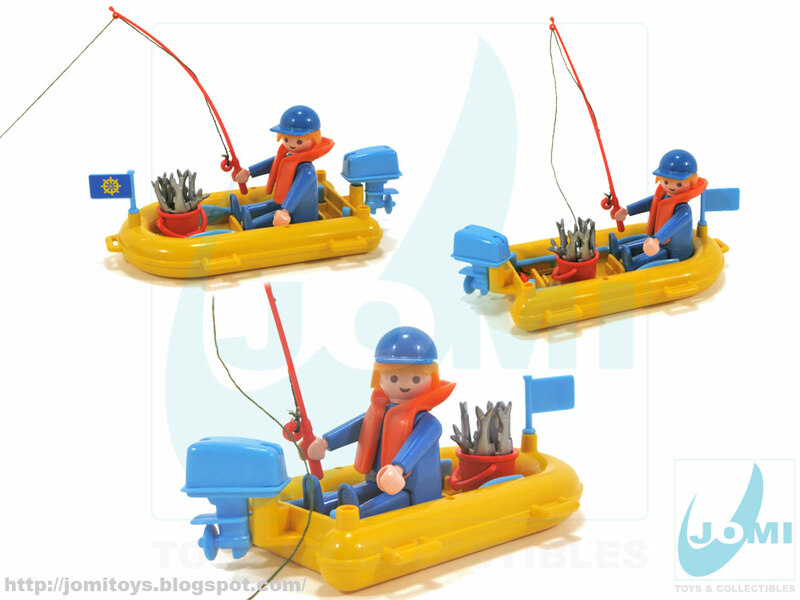 The boat is, as most of Playmobil´s constructions up until the 21st century, an interconnection marvel. Designed to be played with and serve many purposes in the vast array of themes. 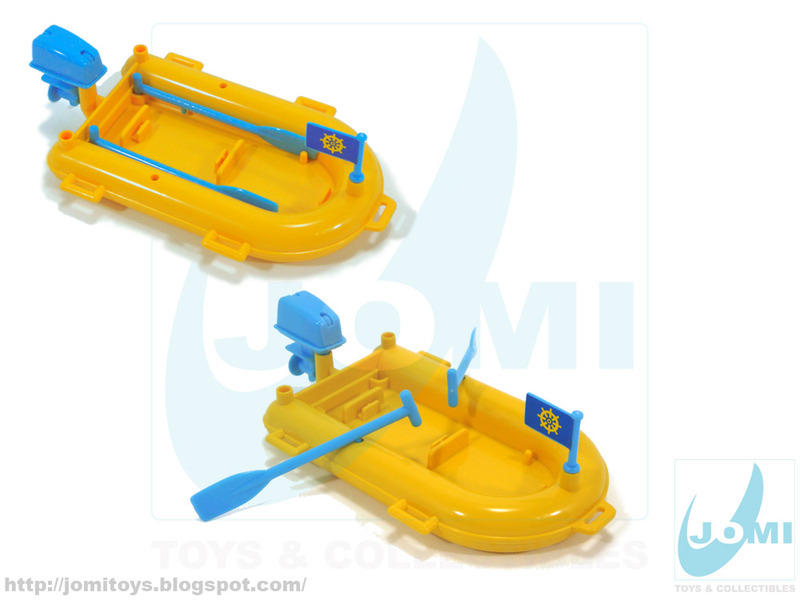 The rows can be neatly fit inside the boat and it doesn´t affect the figures (holds two) positions. Flag and engine come off, naturally. 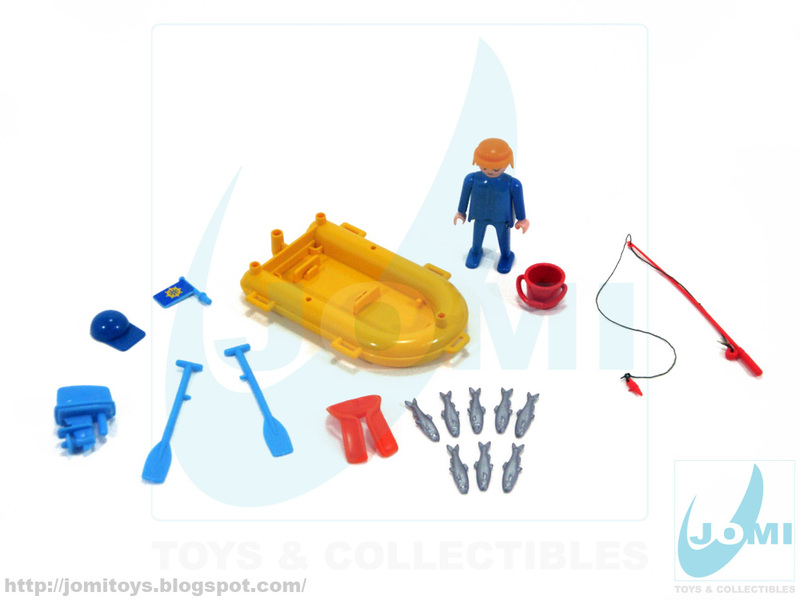 The figure includes the life preserver and the well-known cap. 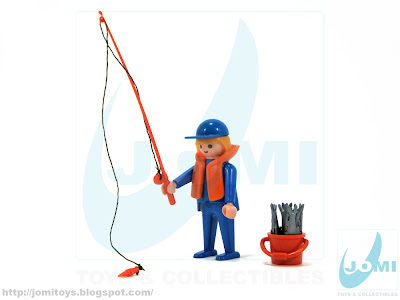 Bucket, 8 fishes and complete fishing rod close the deal! 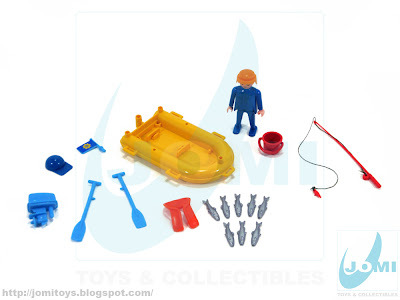 Action shots showing the various possible positions for the included figure. Of course you can get this guy a friend to spend a fishing afternoon, if the fish bite better! Thank you for reading! And be sure to send your requests. Whatever you collect, whatever you like, if we got it, we´ll show you! I remember when I used to play with paper boats when I was a child. Now there are better toys, our children should experience those happy experience. Indeed. 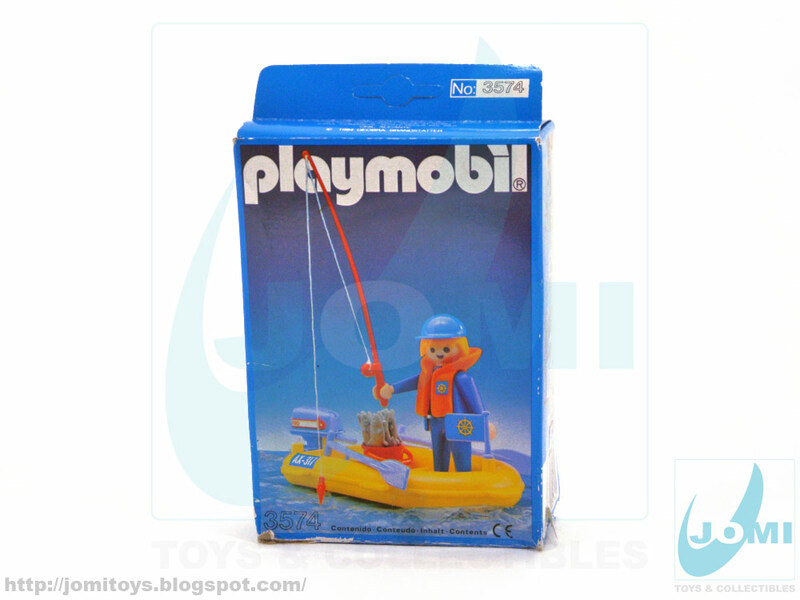 Brands like playmobil and lego changed the world of toys and how toys came to be.